Are you ready to pedal? If so, there will be plenty of opportunities for you to cycle for education in the next 2 1/2 years. Jolandie Rust passing through Aggeneys, a small mining town in Northern Cape, South Africa. 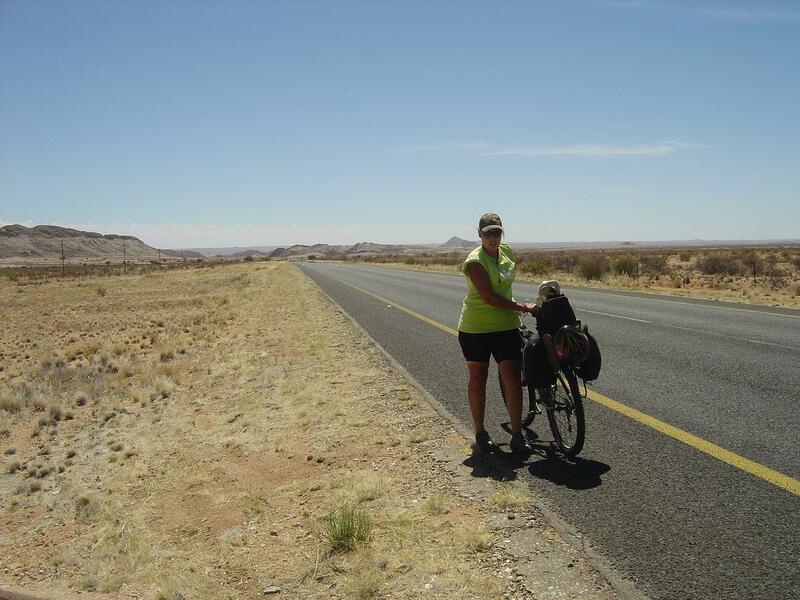 As our African pilot project embarks on its fundraising adventure, we invite all to join Jolandie Rust as she circumnavigates Africa on her bike. 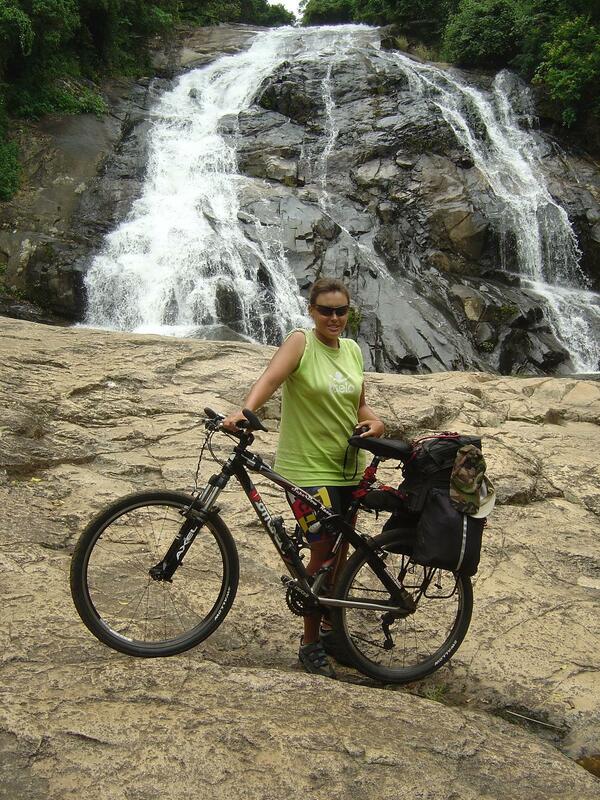 Jolandie today announced her African circumnavigation solo bike ride to benefit Iduka and its campaign to promote and raise funds for girls’ education in Africa. Jolandie at the Tzaneen Waterfalls in the Limpopo province in South Africa. Jolandie will be undertaking this feat completely unsupported in her attempt to be the first women to solo circumnavigate the world’s second largest continent on a bicycle. 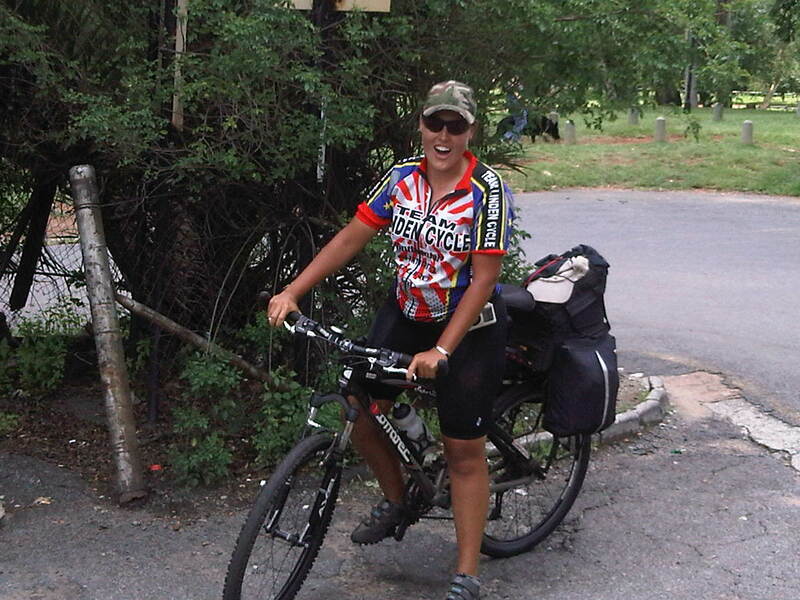 Jolandie arriving in Johannesburg from her cycle solo around South Africa. Do you want to join Jolandie and Iduka on our adventure to raise funds and awareness about girls’ education in Africa? There are plenty of opportunities and all are welcome to join us. We’ll be happy to have you involved!… and if you want to give us a push, please donate now or join our fundraising efforts on CrowdRise. As part of today’s global centenary celebration, we would like to extend a word of thanks to all the women making it happen right here at Iduka. Since our inception, we have been truly blessed with many volunteer women who care deeply about education and the need to make college more affordable for our underserved students populations. On this day, it is important to mention early women collaborators, longtime encouragers, and our founding members. Marcia Murphy-Owen, Judy Roberts, Angela Lorefice, Darlene Craddock, Diana Bushong, Dorothy Settlemire, Isabel Gantz, Maria Block-McKenzie, and Hazel Messineo provided the initial support to develop the idea and allowed us to grow. Many others not listed here have also contributed in numerous ways to this project, and we thank them all. Finally, a very special thank you to all the women volunteers assisting us with the Iduka Africa Pilot Project, who are working daily to make it happen! Last, but certainly not least, we thank our Board of Directors Chair, Ms. Joan Barnes for her leadership and unwavering support. 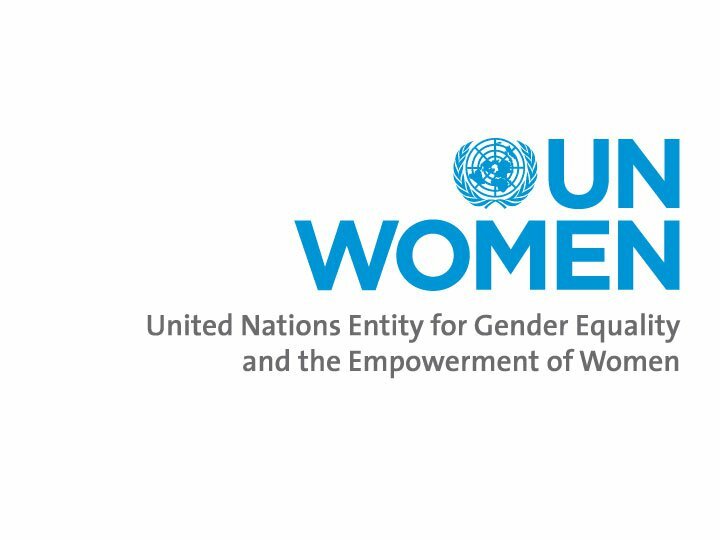 To learn more about Ms. Barnes contribution to this project, please visit UN Millennium Campaign or the Facebook album dedicated to Women Make It Happen!… and make sure you stand up to end poverty by asking our leaders to protect and revitalize higher education. Tags: college affordability, education, education as a human right, end poverty now!, gender equality, higher education, iAPP, international women's day, IWD, post-secondary education, tertiary education, UN Millennium Campaign, underprivileged, underrepresented, underserved, Women Make It Happen!